“Intellectual formation contributes to spiritual formation. The study of the traditions of faith and the experiences of faith among the saints and the people of God serves to deepen one’s own spiritual journey.” (Program of Priestly Formation, 113)A man with little or no previous college experience would complete a traditional four year Bachelor of Arts in Philosophy, while men who have already earned a Bachelor’s degree from another accredited academic institution would complete a two year program of study known as as Pre-Theology. 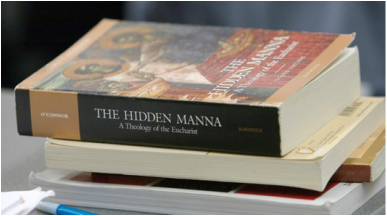 Following the philosophical studies, either as a college degree or in pre-theology, seminarians study four years of theology, including subjects such as Sacred Scripture, Trinitarian theology, Christology, Pneumatology, Ecclesiology, Moral Theology, Liturgy and the Sacraments, Church History, Canon Law, and Homiletics.